The anticipation is almost too much to bear. I’ve waited so long for this time of year and it’s almost here! Finally! The rut is something every deer hunter gets excited about and for good reason. Bucks move more during the next month than the rest of the year. It’s an exceptional time of year to be in the woods. Knowing they will be moving more, hunters should capitalize on this movement. 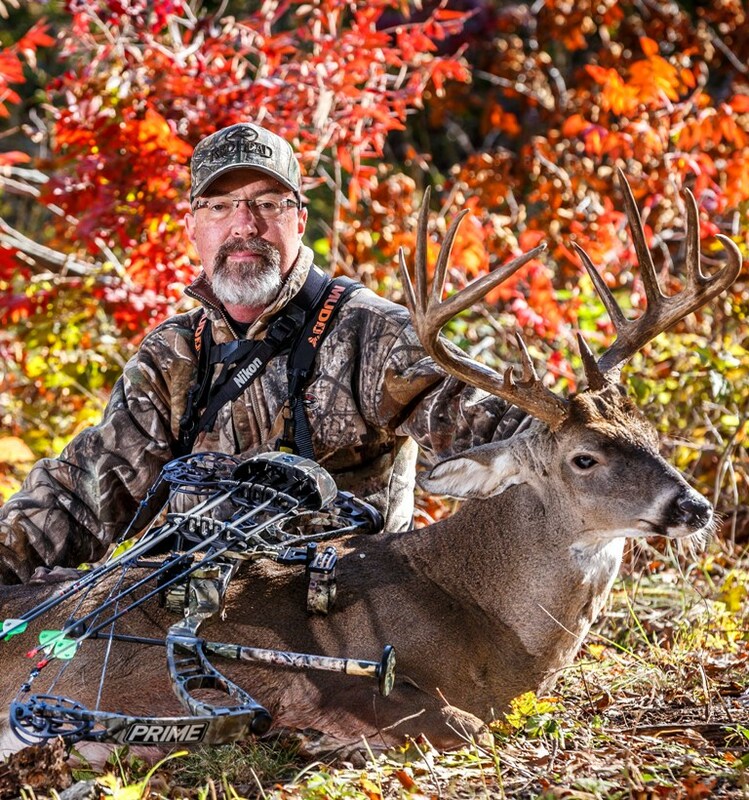 Grant with a great buck he took while hunting a travel corridor during late October! Recently I read a blog out of Penn State about a research team that placed a radio collar on an adult buck in the spring of 2013. They monitored him through the course of two hunting seasons on a state forest that’s open to public hunting. They studied this buck’s movements throughout the year paying close attention during October and November. Out of all the interesting information they found, one point grabbed my attention. During a 24 day period in October and the first few days of November this buck traveled 23 total miles. For the next 24 days (November 4th through the 27th) he traveled 85 miles! WOW! This is a great example of the amount of traveling adult bucks will do during the rut. As hunters we can use this knowledge to our advantage when we consider how bucks will be traveling during the month of November. Bottlenecks, pinch points, and travel corridors are all great places to hunt. Over the next couple weeks the rut will start to pick up and it’s a great time to hunt these areas! To read more about the findings out of Penn State check out this link. Don’t miss out on one of the best times of the year to hunt!